“Advent International hopes to help grow Oberthur Technologies through potential external acquisitions which may further enhance the technological development and complement existing know-how,” says the investment firm. Global private equity firm Advent International, one of the world’s leading buyout firms, has acquired a 90% stake in Oberthur’s Card Systems and Identity divisions. 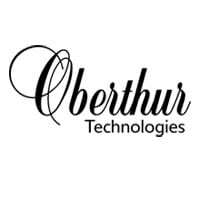 Oberthur is the world’s second largest smart card supplier and a key provider of NFC technology and solutions, included NFC SIMs and trusted service management (TSM) solutions. The group posted sales of €814.5m for its 2010 financial year and the transaction is valued at €1.15bn. “Thanks to our international presence and our deep experience in the banking and telecommunications industries, in which we have been investing for over 20 years, we are well positioned to actively support the management in its growth plan for the business, including through acquisition,” says Pascal Stefani, head of Advent International in France. “Advent International hopes to help grow Oberthur Technologies through potential external acquisitions which may further enhance the technological development and complement existing know-how,” the new owners add. Xavier Drilhon, previously the deputy managing director of Oberthur group and managing director of the Card Systems division, has been appointed CEO of Oberthur Technologies. Jean-Pierre Savare, founder of the Oberthur group, and his family retain a 10% stake in the company.